Using named day delivery: Order this product within 6 hrs and 45 mins for guaranteed Tuesday delivery. 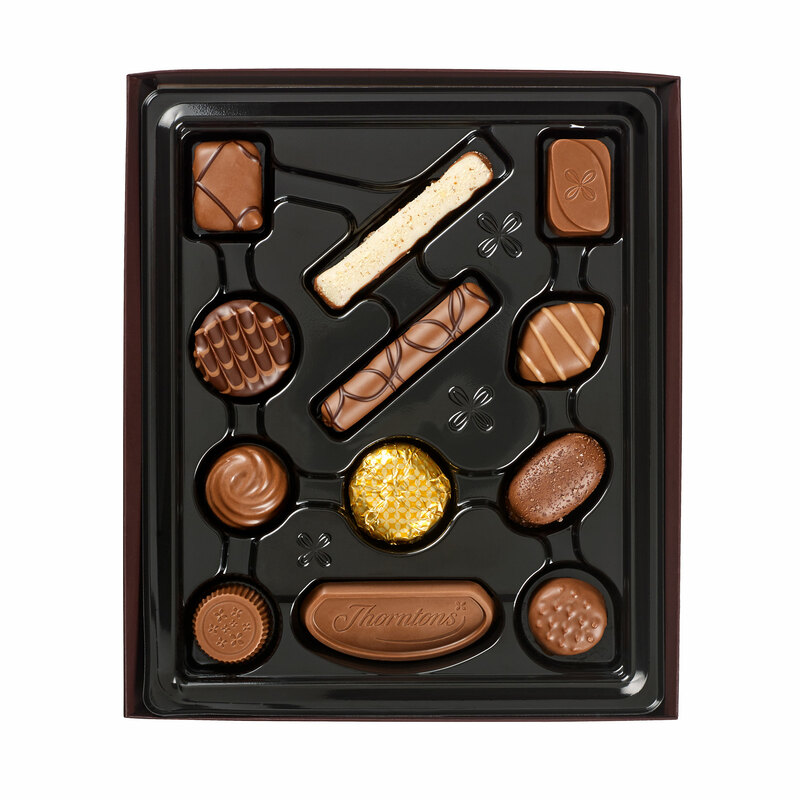 This is the personalised box that has fingers hovering, that makes the decision of which enticing chocolate to have next so hard, because every single one is a much-loved, delicious classic. The single layer box has one of each of our 12 Classic Collection milk, dark and white chocolates, so is an ideal gift for the lover of all types of chocolate. So, which is it going to be first? The Gooey Caramel that spills extravagantly into your mouth with the first bite? Or the double nuttiness of the Praline Duet perhaps? Maybe the perfect combination of dark chocolate and orange in the Orange Crisp, complete with tangy flavour and surprise crunch? Choose any one of the 12 for a guaranteed moment of chocolate bliss.